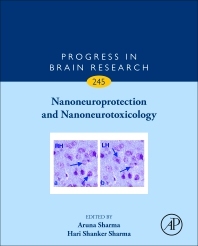 Nanoneuroprotection and Nanoneurotoxicology, Volume 245, deals with recent developments in the field of neurotoxicity and neuroprotection using nanobiotechnology for the first time. Chapters in this updated release include Sleep deprivation induced brain pathology and concussive head trauma-Neuroprotective effects of nanowired delivery of drugs and hormones, Nanomedicine in Alzheimer’s Disease: amyloid beta targeting strategy, How traumatic brain injury alters amino acids balance in the central nervous system-Neuroprotection by TiO2 nanowired delivery of drugs and antibodies, Nanowired delivery of DL-3-n-butylphthalide and neuroprotection in concussive head injury, Nanodelivery of drugs and antibodies for superior neuroprotection in Alzheimer’s disease, and more. Aruna Sharma, MD is currently Secretary of Research at Uppsala University Hospital, Uppsala University, Sweden. She obtained her Bachelor of Science in 1971 and trained in Indian Medicine up to 1977 and engaged in medical research from 1978 to 1986 in India on hyperthermia induced brain dysfunction in the lab of Hari Sharma and Prasanta Kumar Dey under University Grants Commission and Indian Council of Medical Research Her main interest is now focused on Indian Medicinal drugs and their effects on the Central Nervous System Function, toxicology, neurorepair and neuroprotection. She is also investigating neurotoxicological profiles of many Ayurvedic traditional drugs with special reference to those containing metal oxide or metal ashes.